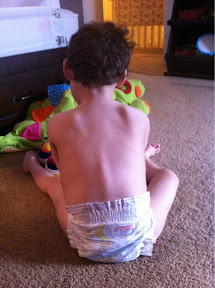 Overcoming Movement Disorder: Scoliosis Reversing? i am karthi from india..
i follow ur blog about bertrand and he is a wonderful kid..i saw ur recent blog post about bertrand sitting straight.. few days back when i saw tihs photo i realised that he is sitting more straight than the photos i had seen before.. Thank you, Karthi! Your kind words mean a lot. :) Bertrand is definitely my teacher! Best wishes to you from Utah!